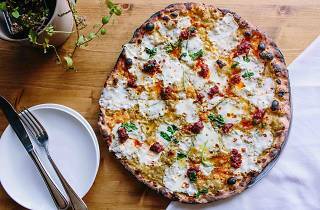 Sorry, purists—eclectic pizza shops are booming, and while good pizza is plentiful, great pizza is something to look out for. 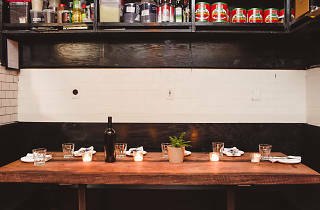 Seek and ye shall find at Emily in Clinton Hill. 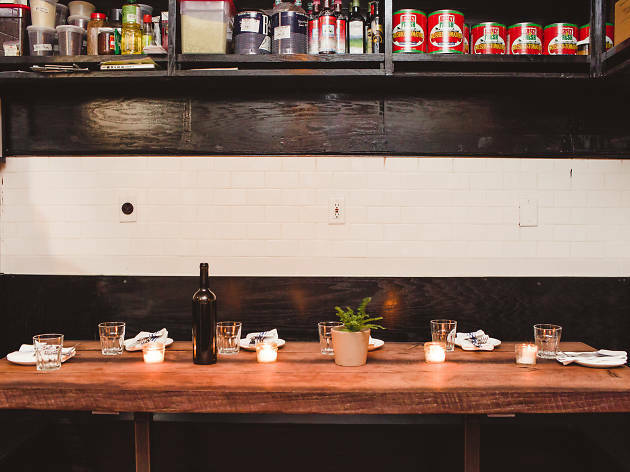 The heat of the wood-fired oven welcomes you into the cozy dining space, indicative of the charred crusts and inventive toppings to come. The pizza, categorized by sauce color, is the star of the show. From the Red column comes the Camp Randall ($19), an idyllically charred crust topped with tomato sauce, sausage, mushrooms, peppers and cheddar curds. It’s an update to the pies you ate in your youth, savory from the sausage and perhaps a bit squeaky (in the best way) from the curds. 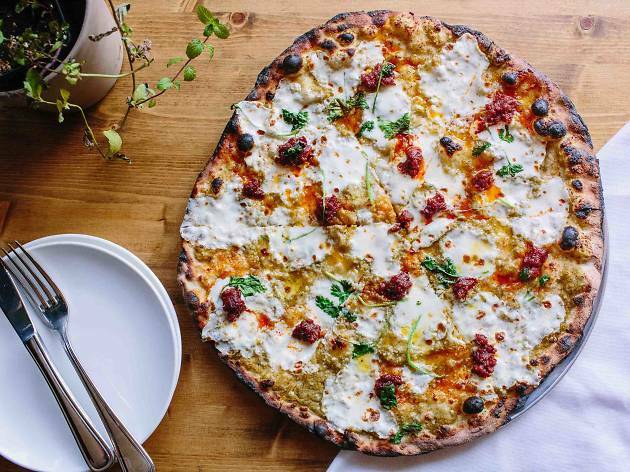 The namesake White pizza, the Emily ($22), surrounds you like a hug—topped with mozzarella, pistachios, truffle sottocenere and honey, it’s a performance in restraint. The drizzled sweet honey dances with the sumptuous mozzarella, all mingling with a slight crunch from the pistachios and that craveable truffle. The Pink category’s Arn-Dog Jr. ($20) is exceptional, topped with pink vodka sauce, mozzarella, ham, mushrooms and banana peppers. On the menu it may seem like overkill (rich sauce and cheese and meat, all in one bite? ), but on the plate, it’s as perfect as pizza gets. The banana peppers provide a vinegary tang that cuts through the other flavors and causes eaters to have fever dreams of this pie. 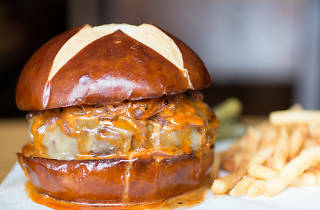 Though it’s a pizza joint, much has been said of the Emily’s burger ($23). Believe the hype and get one. 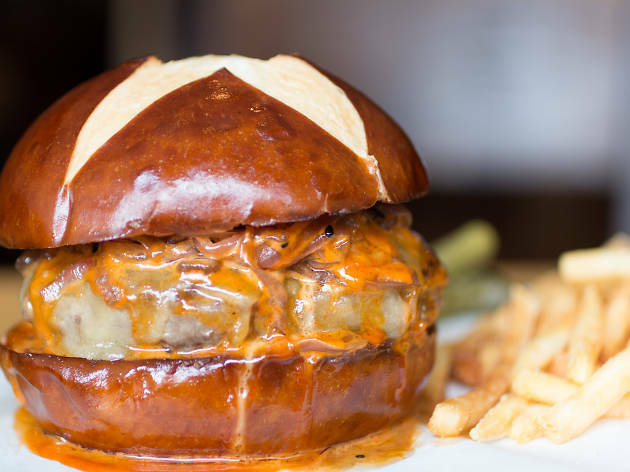 Made with grass-fed, dry-aged beef, Emmy sauce, caramelized onion and Grafton cheddar served on a Tom Cat pretzel bun, it’s worth ordering even if you’re also having pizza. Eat this burger and life will be better. Actually, eat at Emily and life will be better. Very Creative menu, always new specials, and please try the Burger. best burger in Brooklyn, perhaps in all of NYC. go splitskies on a burger and a pizza for 2 people. Delicious, thin-crust pizza! Cool, somewhat noisy, little place with bar seating. My favorites were the 'Colony', a chile,honey, pepperoni pie and the 'Arnie' which comes folded, with pink sauce, ham, mushrooms, and banana peppers.